Summary of today’s show: When a man becomes a permanent deacon, it’s a calling not just for him, but also for his whole family. 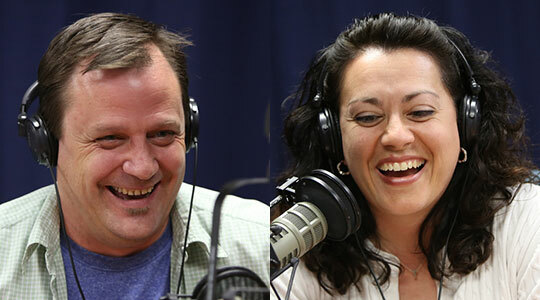 Scot Landry is joined by Deacon Chris Connelly and his wife, Jennifer, to discuss the life of a permanent deacon, how it affects their family life, and their life together that led to the call to the diaconate. They also give their advice to couples who may be considering this path and are discerning whether this is their call. A Special Message from Scot Landry as posted on ScotLandry.com: On Friday June 20, The Good Catholic Life will air its 750th new episode. Those of us who have collaborated on this new evangelization outreach consider it a great milestone. We are so grateful that so many Catholics have tuned in to hear The Good Catholic Life over these past 39 months to hear us interview Catholic leaders, promote Catholic events, discuss Catholic news, and share experiences living our Catholic faith. This 750th program will also be its last. Because of a tight budget situation at iCatholic Media, and also at the Archdiocese of Boston and at WQOM, there is no longer the funding for a producer for The Good Catholic Life. From the initial launch of The Good Catholic Life on Ash Wednesday 2011, it has been a partnership: WQOM provided the airtime, the Archdiocese provided space for the studio, benefactors paid for the cost of the equipment and studio wiring, and iCatholic Media paid for the salary of the show producer. The producer has been the MVP of our team, because he selects topics, invites guests, prepares materials for the hosts to read, develops a show schedule (typically six weeks out), technically engineers each show, and then distributes the podcast and show notes through email and social media. We’ve been blessed to have had two superb producers for The Good Catholic Life – first, Rick Heil, and now Dom Bettinelli. We accept the situation of the budget constraints and express gratitude for the funding and the partnership that has allowed 750 shows to be broadcast. All 750 episodes and podcasts for The Good Catholic Life will continue to be available on TheGoodCatholicLife.com. In July, Dom will be joining the staff at the Walpole/Sharon collaborative led by Father Chip Hines, host of our Friday shows. Dom and Father Chip hope to continue to chart a course of innovation in the use of media communication tools in the new evangelization. Catholic radio programming changes lives, as the many testimonials WQOM has received attest. Local programs like The Good Catholic Life have added a strong component to Catholic radio programming. Leaders of WQOM care deeply about local programming. We hope that through increased contributions to WQOM that it eventually will be able to fund new local programs, perhaps even a relaunch of The Good Catholic Life. The Good Catholic Life would never have been able to make the 750 episode milestone were it not for the commitment of so many: Fr. Chris O’Connor, Fr. Matt Williams, Susan Abbott, Fr. Mark O’Connell, Fr. Chip Hines, Michael Lavigne, Fr. Roger Landry, Gregory Tracy, George Martell, Karla Goncalves, Anna Johnson, Stacia Morabito and Rick Heil. All are invited to tune in for the final broadcast on June 20. P.S. WQOM will begin airing Kresta in the Afternoons at 4pm on 6/23. We encourage you to continue to listening to Catholic radio during the 4pm hour.